Description: Oban size woodblock print. This is the right hand print of a diptych. 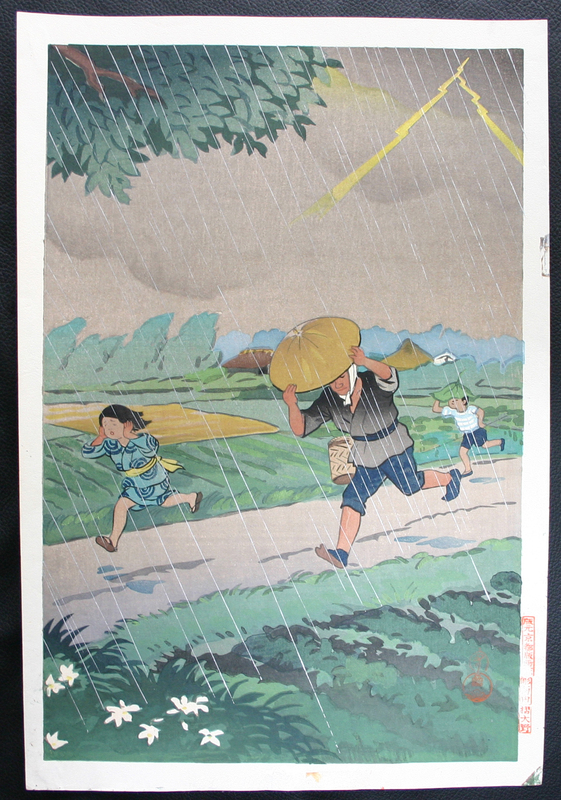 One of a series of woodblock prints depicting everyday life in Korea by Hiyoshi Mamoru..